The royal rumour mill has been in overdrive this week after a Hollywood star revealed that she has been secretly texting Prince Harry! Speaking on US TV show Extra, Hollywood actress Margot Robbie admitted she has been secretly swapping texts with the Prince. The ‘Wolf of Wall Street’ and ‘Tarzan’ star revealed that she met Harry, “through friends” and they’ve been texting in secret ever since. “‘I didn’t tell my family” the actress revealed. Although the blonde bombshell confessed she could be slow at replying to Harry, she admitted that he was always “pretty quick” to text her back. The 26-year-old actress first met Harry at a party in London last Christmas. Pictures emerged of Prince Harry cheekily muscling in to a photo with Robbie, as well as her pals including actresses Sienna Miller and model Cara Delevingne. The candid photo-booth snap shows Harry peeping into the photo, with his cousin Eugenie by his side. However there won’t be any romance blossoming between the royal and the Hollywood star anytime soon. The Australian-born actress currently lives in London with her boyfriend! 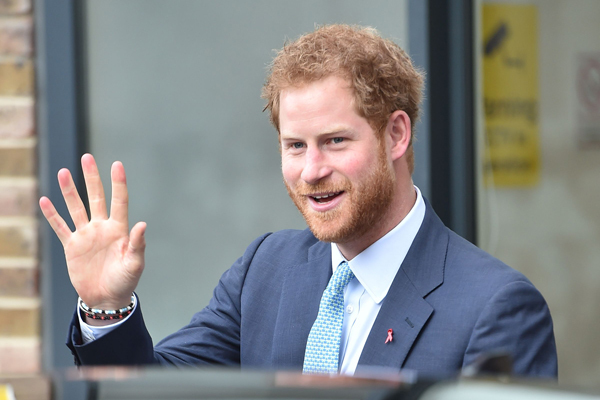 Prince Harry has been linked to a couple of eligible, beautiful blondes in recent months, after rumours swirled that he was to be reunited with old flame Chelsy Davy at the end of 2015. He was also linked to pop star Ellie Goulding, who the Prince first met after his Invictus Games in 2014. Rumours of their romance were almost confirmed after the pair were allegedly spotted kissing at a charity polo event. A source who saw Ellie and Harry getting close said, “They only had eyes for each other all night. They spent a lot of time sitting together under blankets”.